“The Million Hearts® word and logo marks, and the Be One in a Million Hearts® slogan and logo marks and associated trade dress are owned by the U.S. Department of Health and Human Services (HHS). Use of these marks does not imply endorsement by HHS. Use of the Marks also does not necessarily imply that the materials have been reviewed or approved by HHS." 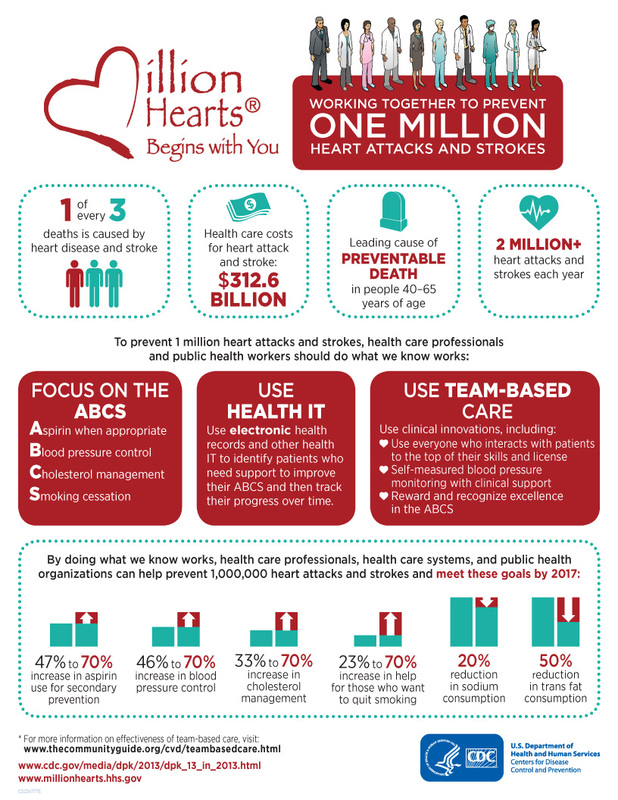 What is the Million Hearts® Initiative?